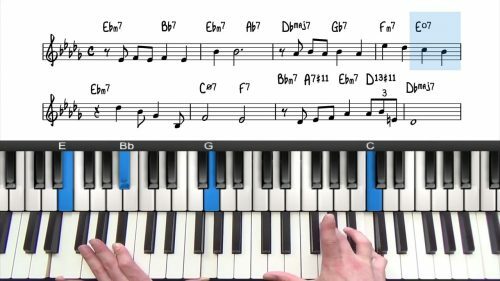 In this 5 minute masterclass, we’re going explore a concept known as the "Barry Harris Voicings". If this is a new area of study for you, be sure to check out the related lesson below on "Block Chords" & "Drop 2 Voicings"
These voicings mainly derive from the major6 or minor6 Bepop scale are a major scale or a melodic minor scale with added chromatic note between the 5th and the 6th note. The chords we will be working with during this masterclass are Major 6th chords and Minor 6th chords. We will be using closed position voicings, meaning that the notes of the chord are inside a single octave. However, all of these ideas, concepts, examples work great with the drop 2 as well. If you’re not familiar with the drop 2, check out the related lessons below. 3 Applications For The Same Voicings! These voicings are a great tool for soloing, and especially for harmonizing melodies. 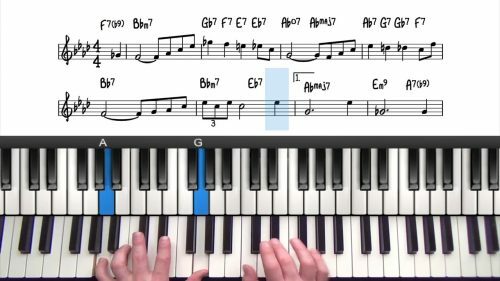 We will take the first 8 bars of "There Will Never Be Another You", and harmonize the melody using only the Barry Harris voicings that we have covered in this lesson. 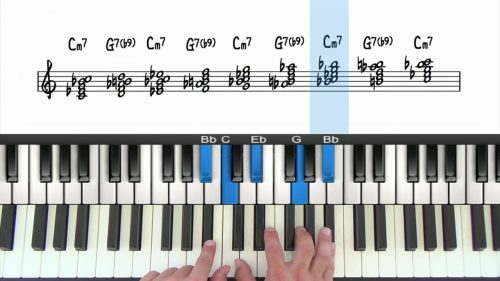 In this lesson I explain what drop 2 voicings are, how to construct them and how to practice drop 2 so that you are familiar with them in all 12 keys. Block chords are used for harmonising a melody line by moving the notes of the chord in parallel, following the same rhythm as the melody. First, harmonise the major and minor bebob scales to get familiar with the sets of voicings. A simpler step would be to drill through the inversions of the 6th chords, and then drill through the inversions of the related diminished chords. Then put them both together. Remember that any of the 'closed position voicings' can be turned into 'drop 2 voicings' to achieve a different 'colour' and 'texture'. To create a 'drop 2 voicing', simply take the second note from the top of the voicing, and instead play it at the bottom with your left hand. Check out the related lessons above for more information.